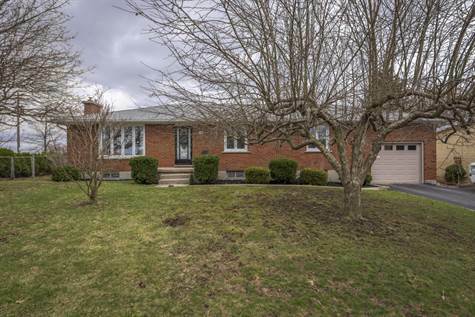 Fantastic bungalow in the heart of Oakridge on a quiet crescent. Main level has 3 bedrooms with a 4 piece bath and a two piece ensuite. Large living room and dining room with hardwood. The kitchen is spacious with views and access to the amazing mature backyard. Options are plenty with the lower level that contains a grade entrance from the garage, a second kitchen, full bathroom, spacious rec room and a cozy family room with a gas fireplace. Huge lot with room for the kids to play or the gardener to create, not to mention the apple and pear trees for all to enjoy. This beautiful property has so much to offer and awaits the next lucky family. All measurements are approximated and to be verified.